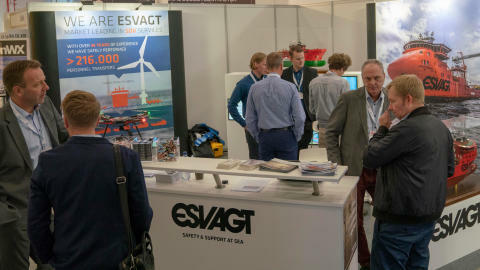 ESVAGT had a good following wind when it took part in the world’s largest exhibition for wind energy, WindEnergy Hamburg, from the 25th to the 28th of September. With ink freshly dried on the agreement to build two new SOV vessels for long term contracts with MHI Vestas, there were many customers, colleagues and business partners at the exhibition keen to hear more about ESVAGT’s latest offshore wind projects. 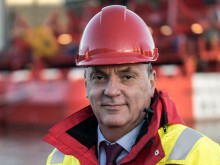 “We had four really good, busy days where we talked about our concepts and projects and gained a good deal of insight into what is important to our customers and partners right now,” says Rune Østergaard, Head of Commercial Wind for ESVAGT. Many guests wanted to hear more about the new SOV design 831L, which ESVAGT is developing together with Havyard, and which will be delivered in to service the Borssele III and IV as well as the Triton Knoll in 2020 and 2021. “The contracts have just been signed and, understandably, many people wanted to hear more about them. We could tell them that our ambition with the 831L twins is to incorporate innovation and new solutions based on our customers’ needs,” says Ole Ditlev Nielsen, Business Development Manager for ESVAGT.